Studying the names of God, I continue to reflect on the name Hagar, the Egyptian Slave of Abraham and Sarah, gave to God in her encounter with Him. It was a moment of great despair and hopelessness for her. Despair and hopelessness until she realized that God saw her and cared about her. Perhaps the greatest time God showed up for me was when I was fighting for my life in a battle with an aggressive cancer. After a mastectomy, the surgeon apologized to me because he said he had to cut a lot more nerves under my arm than he wanted to, including the main nerve running through my underarm down my side. He had found so many lymph nodes full of cancer and he wanted to make sure he got all of them so he cut away more than he preferred to do. He said I would have more pain than normal, but he felt trying to save my life was more important than inflicting some pain. I totally agreed with him. I wanted to live. If that meant some pain, so be it. The odds are not in your favor! After undergoing 16 chemotherapy treatments with three different powerful drugs, I began a radiation treatment which would include 35 sessions radiating not only the chest area where the cancer had been removed, but my underarm, the left side of my neck and the left side of my upper back. Because so many lymph nodes had been cancerous, the doctors wanted to radiate all the lymph nodes in that area of my body to make sure any cancer cells left were destroyed. Starting the first radiation treatment I was already exhausted from almost nine months of chemotherapy. Several hours on two different days were spent in the radiation department as they worked to set up the computer to deliver the radiation to all four parts of my body. They had to be careful to avoid my heart and my lung as the cancer had been on my left side. Then the day arrived to begin treatment. As I entered the room where the treatment would be given, I saw a sign on the door “Danger! 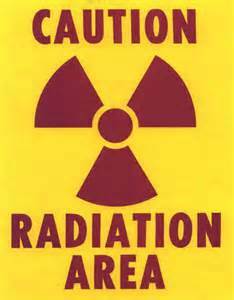 Radiation!”. The technicians helped me on the table, working to get my body placed in the exact position needed so the radiation rays would reach the right places. They then left the room and the heavy door slammed shut. I lay on the table in a very painful position and watched the big x-ray machine begin to descend toward my chest. Feeling so frightened, I never felt so alone. As tears ran down my cheeks, I cried out to God telling Him I felt so alone. At that precise moment, the elevator music they had been playing stopped and a song from my childhood came over the sound system. The song was so comforting reminding me that I was not alone. When the treatment was finished I thanked the technicians for playing that song. They did not know what I was talking about. The music they were playing was canned music already programmed and that song was not on the program. They also said they did not hear that song. But I heard it. The God Who Sees Me – the God who saw Hagar – was there. He saw me, heard my cry, He cared. I have recently written a couple of articles about my battle with breast cancer 12 years ago. I’m Still Beautiful!!! and Life — What a Wonderful Gift! During that battle, I experienced a wonderful moment when God’s presence and love were very real. Because my cancer was very aggressive and very advanced, they had to radiate four different areas; my chest, my underarm, the back of my shoulder and the area in front around my collar bone and lower neck. We had to stop the treatment at one point because I was badly burned. The doctor had told me that this might happen since I am a redhead and have very fair skin.